High efficiency unit, removes dangerous airborne contaminants, reduce the health risks, create a safe work environment and protect sensitive equipment. 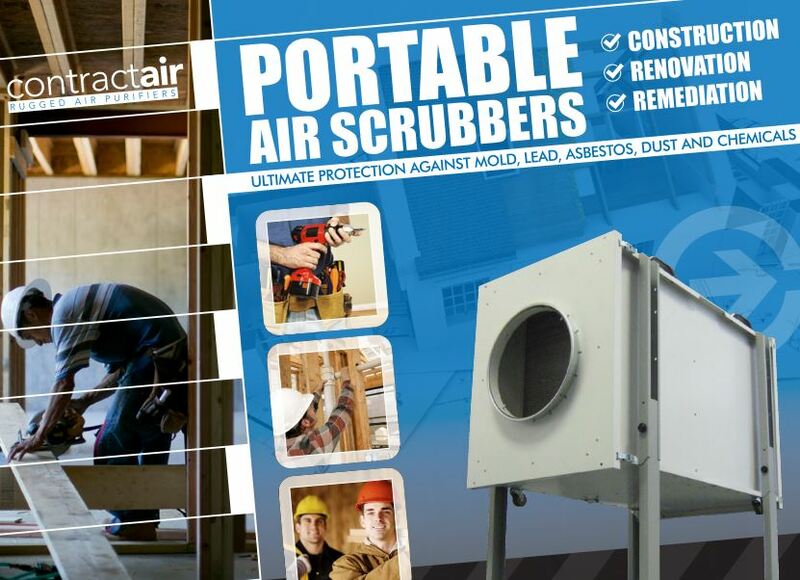 Call us, toll free: 1-800-626-0664, for help in choosing the right air filtration, portable air scrubber for your needs. This entry was posted in 1000 2000 3000 CFM Air Filtration Scrubber System, Ceiling, Wall Mount Air Filtration, Air Cleaner, Air Purifier, Central Air Furnace Whole House, Commercial Air Filtration Air Cleaner, Construction Renovation Schools Hospital Air Scrubber, Heavy odor control removal, HEPA filtration, Horizontal Air Scrubber Air Filtration System, Mold removal, mold remediation, Multiple Purpose Air Filtration System, Positive Pressure Air Filtration and tagged activated carbon, Air filter, air filtration system, air scrubber, Air Scrubbers, Carbon filtering, Corrosion, HEPA, hepa filter, mold remediation, Renovation Remediation, Scrubber, ULPA. Bookmark the permalink.